Two trustees of the Small Enterprises Research and Development Foundation, Inc. (SERDEF) were invited as speakers during the 2019 National Conference on Entrepreneurship organized by the Entrepreneurship Educators’ Association of the Philippines, Inc. (ENEDA). 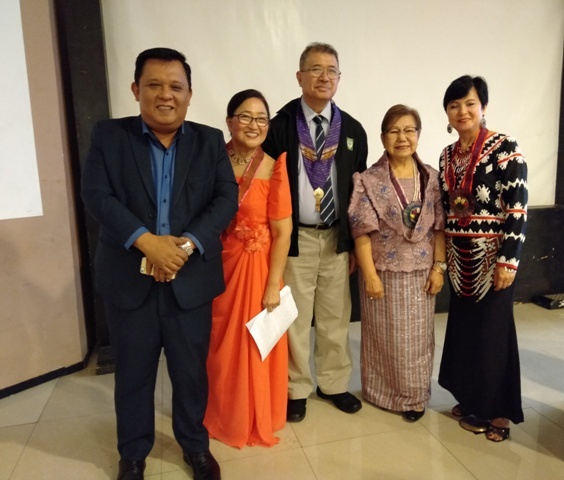 The event was held from February 7 to 9, 2019 at the Malberry Suite Business Hotel in Cagayan de Oro City. “Entrepreneurship Education in the 4th Industrial Revolution” was the theme of the Conference. Department of Science and Technology Secretary Fortunato T. de la Peña delivered the Keynote Address during the Opening Session on February 7, 2019. The next session, “Preparing the Students for the 4th Industrial Revolution,” was handled by Dr. Antonio M. Lopez, Co-Chair of the CHED Technical Panel on Entrepreneurship and Dean of the College of Business, Entrepreneurship, and Accountancy of the Miriam College. More than 200 faculty members handling entrepreneurship programs and courses in higher education institutions nationwide attended the conference. Dr. Elaine L. Boquiren, President of ENEDA and Faculty Member of CBEA, Miriam College, was the Conference Convenor.